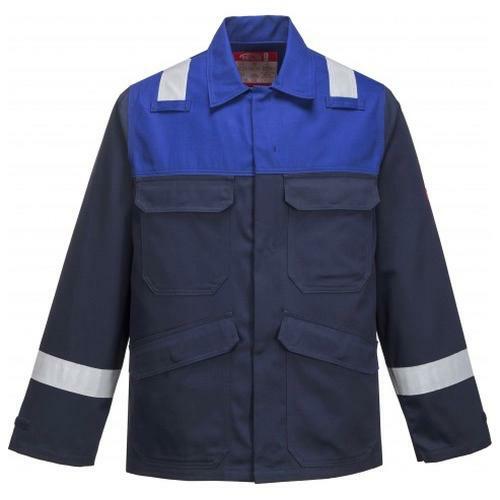 The Portwest FR55 is a jacket is constructed with high visibility reflective tape double stitched for enhanced visibility. 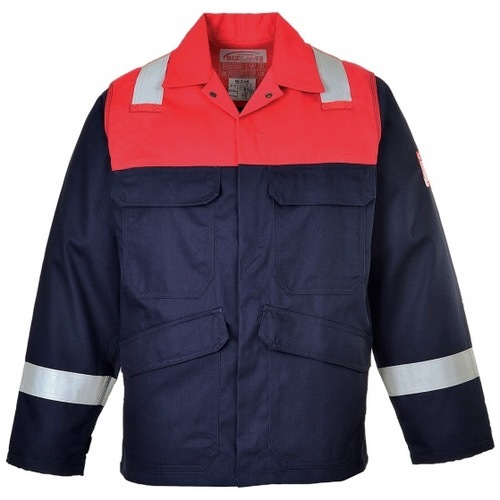 Features include triple stitched seams, high visibility strips on shoulders and arms, concealed front brass zip, two front chest pockets with flap and stud closure. Adjustable sleeve opening.